Tucked away in the rear of the Church of the Immaculate Conception at Saint Mary of-the Woods, Indiana, is the National Shrine of Our Lady of Providence. The shrine, established on May 1, 1925, is dedicated to the needs of all families. Over the years the sisters have received countless requests asking for Mary’s intercession for a variety of trials and sorrows of life. Each day sisters pray and light candles to Our Lady of Providence, also known as Queen of the Home. Each year the sisters celebrate the Feast of Our Lady of Providence on the Saturday before the third Sunday of November. This year it will be celebrated on Nov. 18. In the Caribbean Sea, 1,900 miles away from the shrine at Saint Mary-of-the Woods, lies the island of Puerto Rico. On Nov. 19, 1969, Pope Paul VI declared Our Lady Mother of Divine Providence the patroness of this tropical paradise. He chose this date because it is also the day Puerto Rico was discovered: Día del Descubrimiento de Puerto Rico. The Pope wanted the people’s love of their homeland to be forever joined with their devotion and love for Mary. 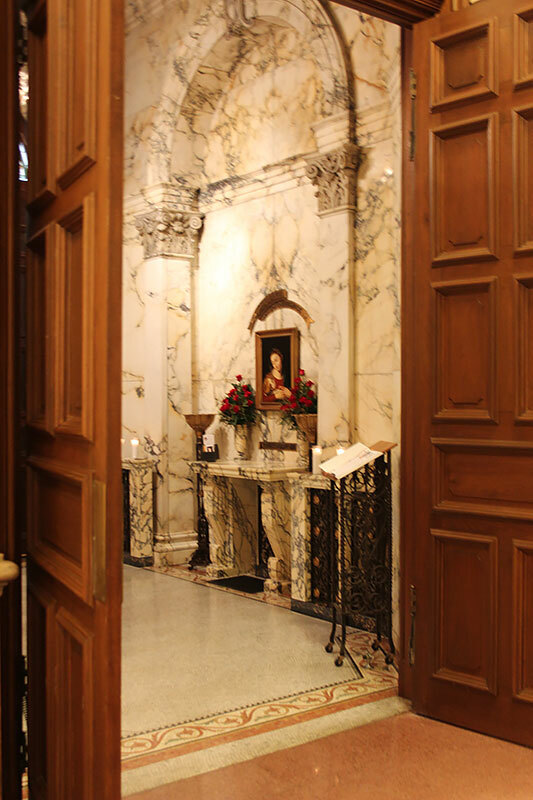 This shared love of Our Lady of Providence is an example of how even though separated by distance, language and culture, we can all find ways to connect with each other. This past September, Hurricane Maria decimated this beautiful island. It has been a difficult journey and people continue to face hardship as they try to return to a normal life. Many people are still without power. Children are just now beginning to return to school. Recovery will take years if not decades. As we celebrate Our Lady of Providence this November, let us take time to join our hearts with the people of Puerto Rico and remember the families who are suffering. Let us pray and ask the Queen of the Home, to bless them this year as they struggle to return to normal. For information about the National Shrine of Our Lady of Providence, email olp@spsmw.org, or call 812-535-2927. Submit your prayer requests here or ask a sister to light a candle for you.